The forecast is for frost overnight. There was a frost when I got up this morning; the ground was completely white. The frost between the two enemies was very obvioius. That author's last book was a frost. The windows are often frosted in the winter. Freezing temperatures have frosted those plants. Sally was frosted by the boss's critical comments. Frost dates back to before the year 900. The Old and Middle English noun, which meant ‘frost, act of freezing, frozen precipitation or extreme cold,’ has been found as both frost and forst. Both forms of the word were common until the late 15th century, when frost became the accepted form of the word. It’s possible that this is due to it being more similar to related words in other Germanic languages. Frost can be traced back to the Proto-Germanic noun frustaz (meaning ‘frost’), and the Proto-Indo-European root preus-, which meant ‘to freeze’ as well as ‘to burn.’ It is related to the Old Saxon, Old Frisian and Old High German frost, and the Middle Dutch and Dutch vorst (meaning ‘frost’), as well as the Sanskrit prusva and the Latin pruina (hoarfrost), the Welsh rhew (frost), the Sanskrit prustah (burnt), the Albanian prus (burning coals) and the Latin pruna (a live coal), and of course the English verb freeze. 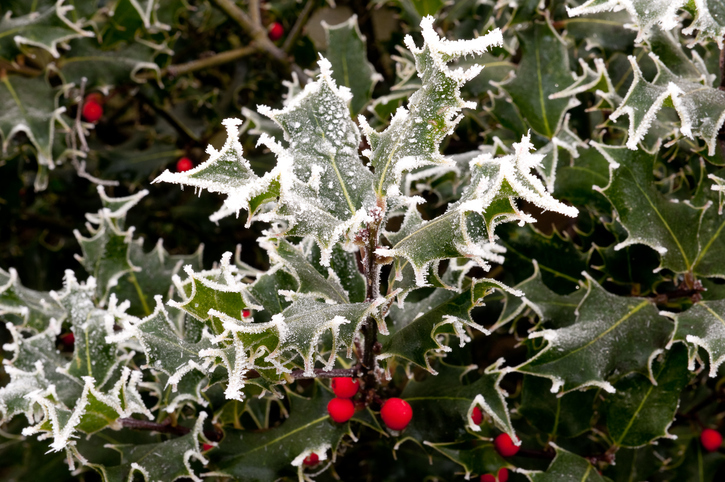 The verb comes from the noun and, meaning ‘to cover with frost,’ dates back to the early 17th century. The sense ‘to freeze’ is from the early 19th century. The sense ‘to frost a pastry or cake with icing’ dates back to the early 17th century, a figurative play on the fact that icing looks like frost. Frosting has been used as a noun since the mid-18th century, and comes from the verb.